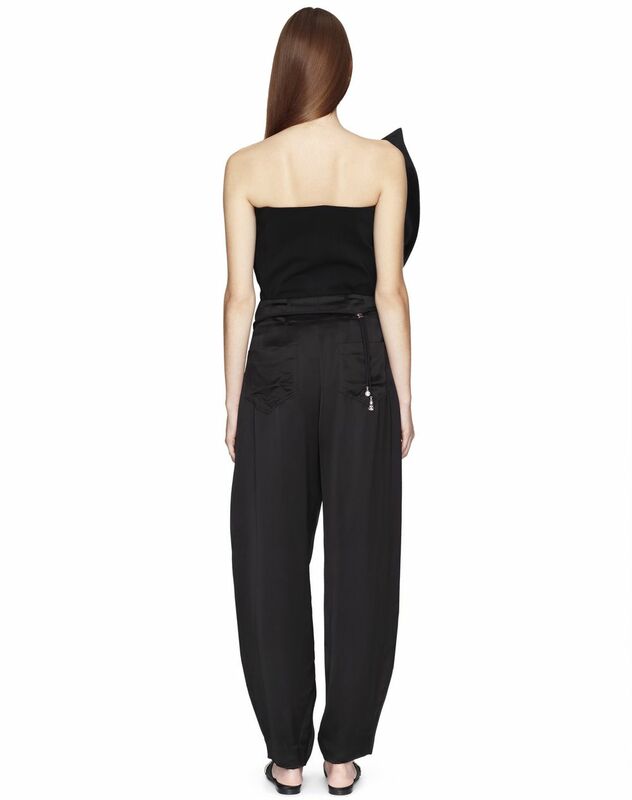 Black satin sarouel trousers, high waist, side pockets, inset with ruffle appliqué detail, waistband with belt loops, patch pockets on the back, and invisible front clasp fastening. 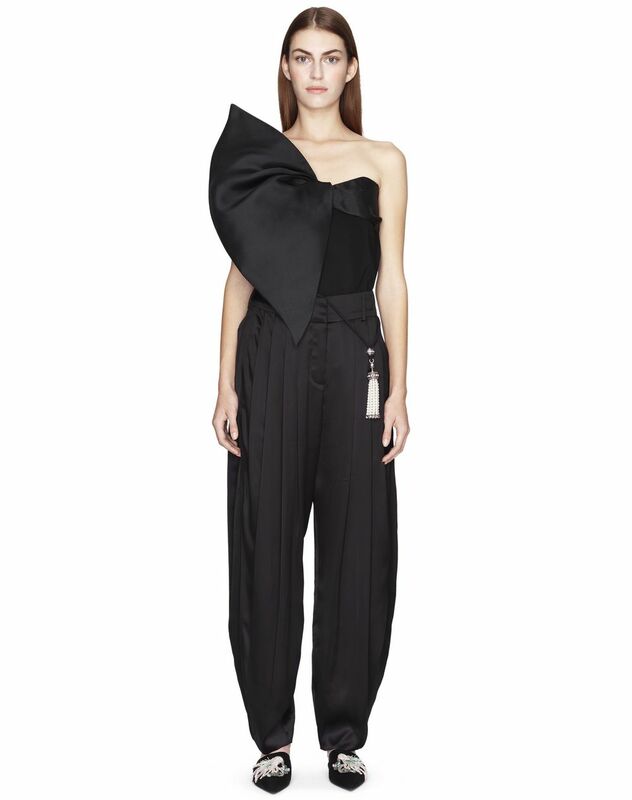 Inspired by the theme of travel, these black satin sarouel trousers stand out for their original, flowy cut. The ruffle appliqué work combined with the satin appearance of the material give this piece a distinctively feminine look. Lightweight, comfortable and elegant, these trousers stand out as the perfect piece for a sophisticated evening look. Main material: 100% viscose weave. Model's measurements: Height: 178 cm Chest: 84 cm Waist: 59 cm Hips: 88 cm Model wears a size 4. Made in France.